Cystic Fibrosis is a genetic disorder that affects the glands which make mucus and sweat (the secretory glands). These secretory glands are found in some organs in the body including the pancreas, liver, intestines, sinuses and lungs, to name a few. Mucus is a substance which is typically thin and watery. However, in a person with Cystic Fibrosis, the mucus becomes thick and stricken. When the mucus is thick and sticky, it tends to build up in critical parts of the body, especially the lungs. The build up makes it difficult for a person to breath. It also causes frequent infections. In fact, in about 80% of the people with Cystic Fibrosis, lung problems are the cause of death. Mucus can also clog the ducts of the pancreas thus blocking the digestive enzymes, created by the pancreas, from entering the small intestines. The blocking of the digestive enzymes causes the food not to be broken down and correctly digested which results in growth and nutrition issues. Cystic Fibrosis also causes the bodies sweat to become very salty. Then, in the normal process, when the body sweats, significant amounts of salt are released in the sweat. The release of the sweat, in turn, upsets the natural mineral balance of the body. With the rest of the body's minerals out of balance, health issues can occur, including fatigue, dehydration, increased heart rate, weakness, and decreased blood pressure. No one has found a cure for Cystic Fibrosis. 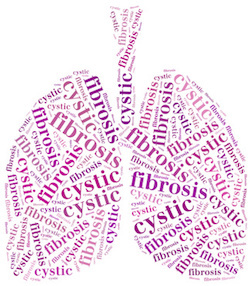 About 30,000 people in the U.S. have Cystic Fibrosis. Their life expectancy averages between 40 to 50 years of age. The Social Security Administration has included Cystic Fibrosis on a list of other diseases and conditions which may qualify for presumptive disability. The lungs seem to be the most vulnerable organ affected by Cystic Fibrosis. For that reason, Social Security included Cystic Fibrosis in a grouping of other diseases and conditions in the pulmonary section of the listings. If a person has been diagnosed with Cystic Fibrosis and has the disease to the severity required, then a person who cannot work due to Cystic Fibrosis will be awarded disability benefits. To qualify to meet the Social Security Listing 3.04, for Cystic Fibrosis, Social Security requires some things. First, a physician must write and sign a letter. The letter must indicate that there had been: 1.) a positive newborn screen for Cystic Fibrosis, or 2.) a history of Cystic Fibrosis in a brother or sister, or 3.) there is a documentation of at least one particular Cystic Fibrosis phenotype or clinical criterion. In addition to having one of the three mentioned above, the signed report from the physician must show one of the definitive laboratory tests (set out in the regulations). If the signed physician letter contains the above, then the diagnosis of Cystic Fibrosis has been proven. The next step is to show the severity of the disease is that same as Listing 3.04 provides. 6.) the values (for FEV1) are shown to be at or below a certain level. Social Security recognizes that Cystic Fibrosis affects other body systems. If the respiratory Listing is not met or medically equaled, then Social Security will review how Cystic Fibrosis affects other organs by looking at the listing which deals with that body system. If the Cystic Fibrosis does not meet or medically equal any of the Listings, presumptive disability was not proven. However, Social Security will next determine what the most a person with Cystic Fibrosis can do then decide whether that person can return to his/her past relevant work and if not whether there is any other work in the national economy which that person can do despite the issues with Cystic Fibrosis. If there are no jobs that the individual can perform, there should be an award for Social Security disability.